At the ORaH headquarters in the centre of Zagreb, the champagne flows until two in the morning. The environmentalist party collected almost 10% of the vote and elected its first member of the European Parliament. "When we started the campaign, just five months ago, the polls put us in seventh place. Even overcoming the 5% electoral threshold seemed difficult", says Andrew Feldman, among the first non-elected candidates of the party. Održivi Razvoj Hrvatske (ORaH) literally means "Sustainable Development for Croatia", but its abbreviated and most used form – Orah – also means "walnut", the symbol of the party. "We created this movement at the end of October 2013", continues Andrew Feldman, "and were enrolled in the official lists of the Ministry of Interior only last December". There is reason to celebrate, then: in just five months of campaign, the Greens managed to carve out a considerable space in the Croatian political scene. Much of the credit certainly goes to the leader, Mirela Holy. Ex Minister of the Environment in the current Social Democratic government, Holy left the government of which, she says, she did not share the political line. The rift with Prime Minister Zoran Milanović earned the newborn party some favour from voters. In the following months, the Greens managed to put in place a modern, positive campaign. In Zagreb, they set up colourful stands, organised cycling street actions, distributed bags of nuts to voters..." We made an information campaign. There is a great need to explain people what sustainable development is", says Andrea Feldman. The campaign has thus paid, although the latest polls gave ORaH even more than 10%, and some party members caressed the idea of having not one, but two representatives in the European Parliament. The night of the ballot count, however, everyone is satisfied, first of all newly elected MEP Davor Škrlec. Number two in the party's electoral list, professor Škrlec only got 2% of the vote, just over Andrea Feldman's 1%. Unsurprisingly, Mirela Holy got the lion's share with 60%, but had already announced she would not go to Strasbourg if elected. "The fact is, Mirela was elected at the Sabor [the Croatian Parliament] with the Social Democratic Party", explains Davor Škrlec. "If she resigned, a member of the SDP would take her place here in Zagreb. So it would not be good for us". OraH will therefore be represented by less well known Davor Škrlec, who is already preparing to leave for Strasbourg. "I saw that the first plenary is in July", he explains, "I think it is the last before the summer break, then we start again in September". Some details remain to be clarified: "I have not chosen my assistant yet", Škrlec jokes with reporters. His priorities for the European Parliament, however, are clear: "The first is decarbonisation. It may seem like a technical term, but it is a very urgent matter today: we need a radical change in energy production in Europe". Needless to say, oil from the Adriatic is not an option. "The second point is the sustainable development of agriculture", says the newly elected MEP, "from cultivation to transportation, many aspects need to be revised, improved". Finally, the third priority differs from the classic environmentalist programme: "The protection of human rights and the proper functioning of democracy are not guaranteed everywhere in Europe, especially in the countries which have recently joined, such as Croatia". From the internal point of view, the good result of the Green party should not, however, alter the political balance. "There is no room to ask for a no confidence vote for the government", says Andrea Feldman, "we only have one deputy in the Sabor and the other coalition parties are not interested in an early vote, for example the HNS would not even make the threshold". 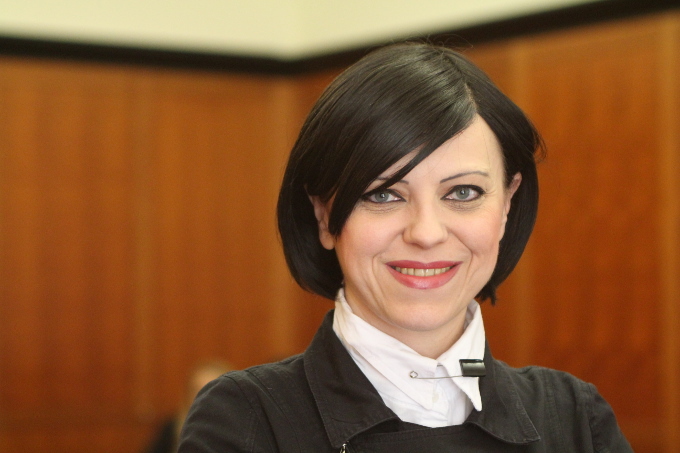 The environmentalist party will not run at the presidential elections at the end of the year, since Mirela Holy, its only possible candidate, assures she is not interested. ORaH now looks to 2015: "We must begin to work in view of the upcoming political elections", says Feldman. "We must inform the public on energy and environmental issues and convince people of the need for a Green New Deal".